Comment: Minnesota's past efforts along these lines include two excellent data websites: MnGeo's Minnesota Geographic Data Clearinghouse, and the MnDNR's Data Deli. 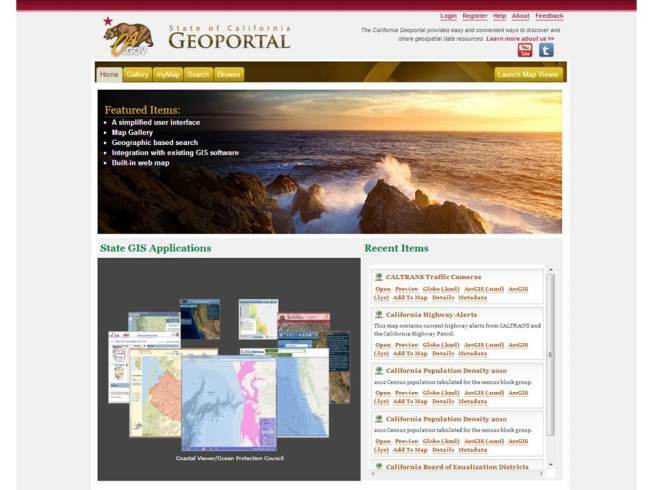 However, unique to this California effort is the online mapping interface which promotes discovery of a broad range of geospatial information by non-GIS types. Nice!